This boat can go the distance, and then some. 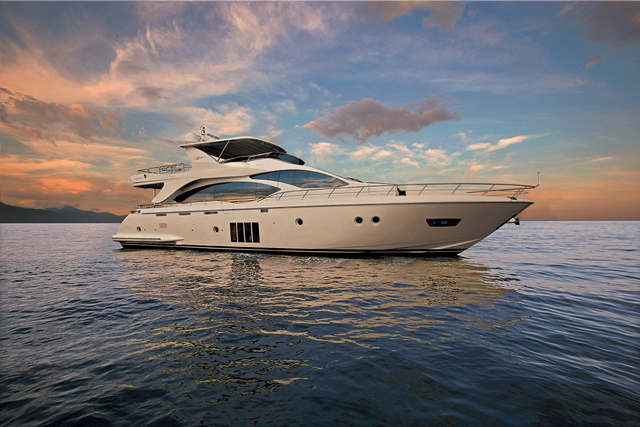 The Azimut Magellano 53 is about as elegant as a passage-making yacht gets. Launched in September 2013, the Magellano 53 replaces the Magellano 50, and further rounds out the middle of the Italian builder’s stable of long-distance voyagers, which, in addition to the 53, includes 43- and 76-foot models. The name, as you may have guessed, is a play on the name of famous Portuguese explorer Ferdinand Magellan, who organized the first circumnavigation of the earth in 1519. So, does this posh Italian passage-maker live up to its namesake? To answer that question we first have to look at the Magellano’s hull. No bones about it, this is one sharp-looking motor yacht. While her plumb bow and squared-off stern give her the appearance of a stout ocean voyager, look more closely and you’ll see some of those typical sleek Azimut lines begin to emerge. Her reverse sheer line is practically a work of art, surging high and then gracefully dropping ever so slightly at the bow. It’s so slight in fact, that it looks different when viewed from varying angles. A massive flybridge tops a sleek, low-slung cabin house, giving this boat an almost “stealthy” appearance. 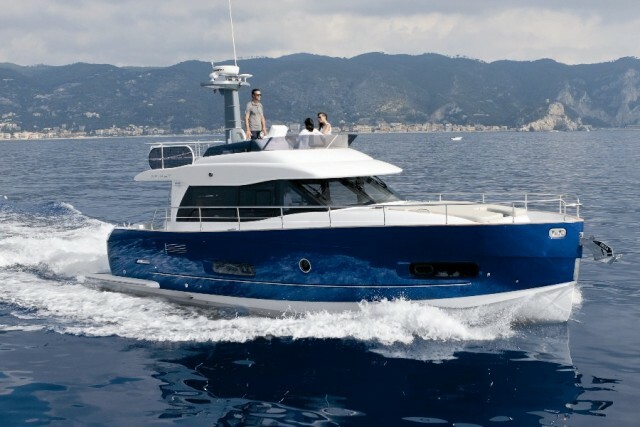 The Azimut Magellano 53 wants to take you there. But it’s the lines that lie beneath the waterline that make this boat special. 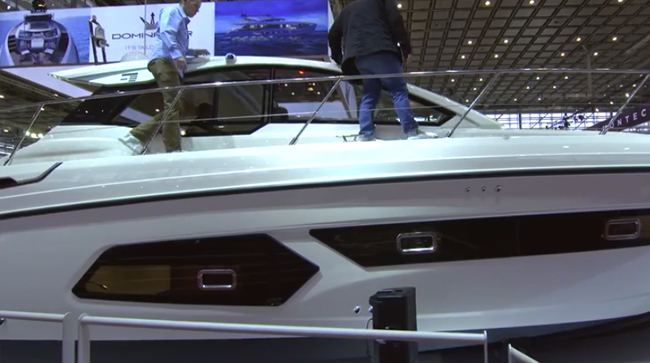 Azimut calls the Magellano’s semi-displacement hull “dual-mode,” meaning that at higher speeds it takes advantage of the liquid pressure against the hull to further lift it out of the water. At lower speeds, it remains slippery and efficient. Very efficient, in fact. The Magellano 53 is fitted with two Cummins QSB 8.3-liter turbo diesels that produce 500 horsepower each. 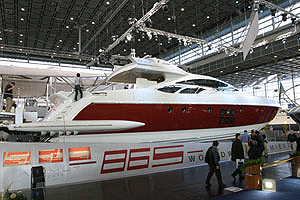 According to Azimut, these power plants can push the Magellano 53 at speeds up to around 21 to 22 knots, and that's fast for a boat like this. Azimut tells me a good all-around speed for efficiency and speed settles in at approximately 16 knots. But if you really want to go the distance like Magellan did, the magic number is seven knots. That’s where the twin Cummins diesels together sip just over three gallons per hour. With an 845-gallon fuel tank, expect a whopping maximum range of almost 2,000 nautical miles. Pretty impressive for a boat that displaces nearly 60,000 pounds. The upper helm on the Magellano 53 is unique, in that it positions many of the instruments and gauges off to the side, for better forward visibility. 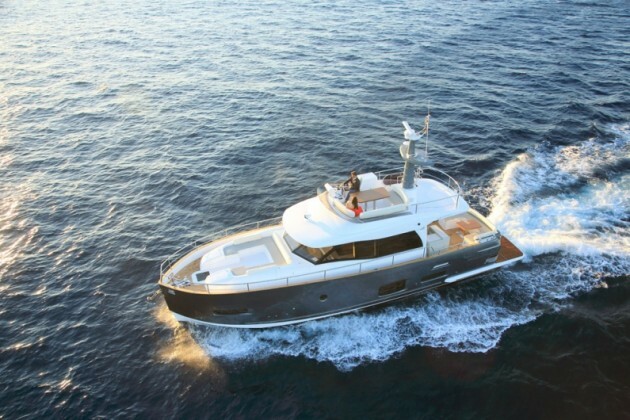 On deck are three amazing spaces, including a large, teak-decked aft cockpit with table, an expansive foredeck with seating area, and what seems like an acre of flybridge. The stairway that leads up to the flybridge is dramatic, transitioning from built-in fixed steps to “floating” steps and then back to fixed steps again. The flybridge features a huge, U-shaped lounge with sturdy teak table to port and forward. It's adjacent to the starboard-side upper helm. The helm is unusual in that Azimut transitioned many of the gauges and engine controls away from the typical cluster in front of the wheel to the starboard side of the captain’s chair. While it may seem counterintuitive, it improves visibility forward and the gauges are still quite easy to see at a glance. Behind the helm is a wet bar with electric grill, while farther aft is the massive electronics mast and a huge sundeck that will likely be used more for dinghy stowage than sun worship. The main saloon is both luxurious and purposeful, on the Magellano 53. A three-stateroom layout with crew quarters in the stern is the standard Magellano 53 configuration. 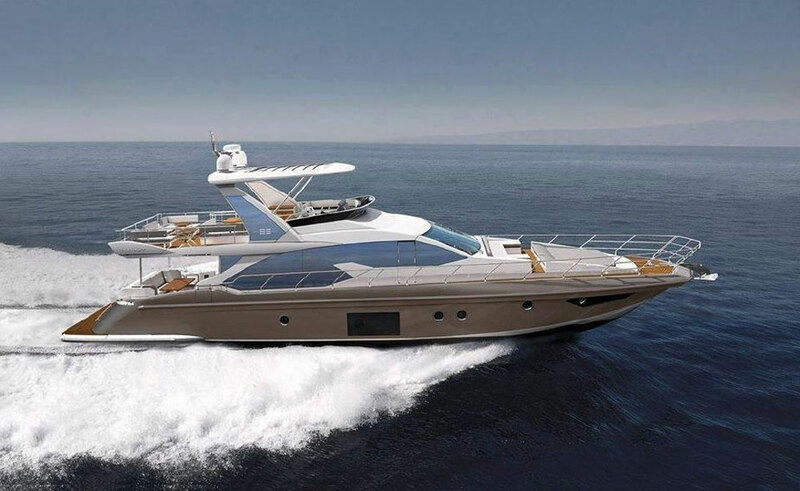 As you’d expect with an Azimut, everything oozes luxury, with a modern, contemporary flair. But the décor also feels shippy and durable, as it should in a passage-making vessel. 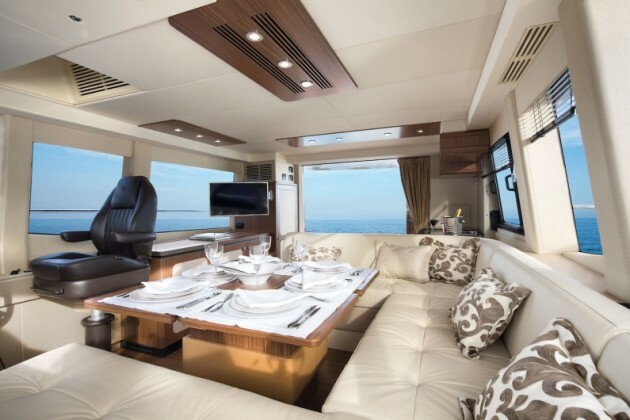 Instead of overdoing the luxury and possibly sacrificing some durability with hardware that is attractive, rather than rugged, Azimut smartly equipped the below-decks spaces on the Magellano 53 so that owners can spend weeks in comfort aboard, not just a weekend evening. The main saloon is fairly typical of many motor yachts this size. There’s a galley aft setup to enhance serving guests in the cockpit, which flows right into the main saloon via set of large, sliding glass doors. A large U-shaped dinette that’s good for about six people is set just forward of it, to port. The helm is forward and to starboard, and behind it is a long counter area with tons of stowage underneath. 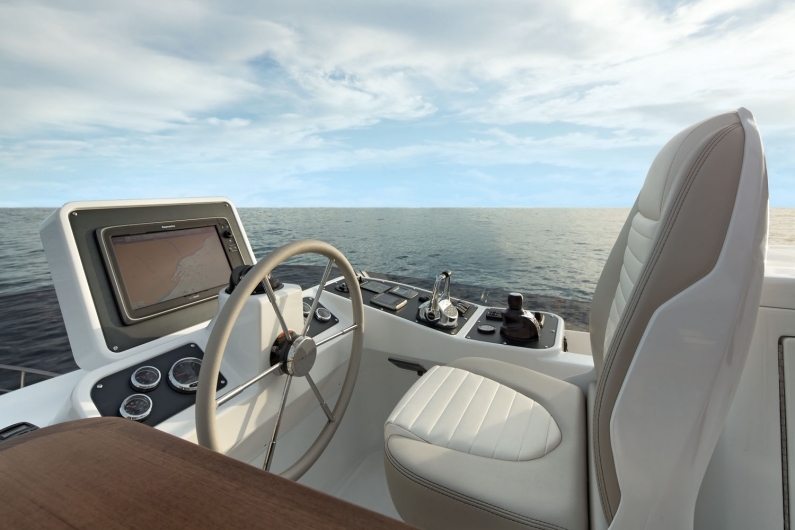 Visibility from the helm is good in all directions, thanks to lots of glass that isn’t slung too low, as is the case in some flybridge yachts. All three cabins are accessed via a central landing area that's situated forward and five steps down from the main saloon. The master stateroom is located aft, under the main saloon, and has its own ensuite head and shower, while the VIP stateroom is situated in the bow. It also has its own head and shower, but there's an additional door so it can be shared with the guest cabin, to port. Hullside ports and overhead hatches keep things light and well ventilated down here. Crew bunks are accessed at the transom. 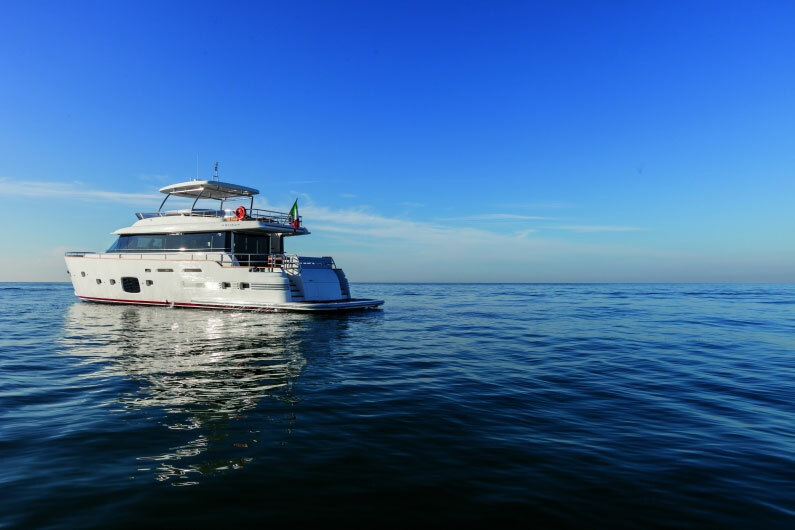 If you’re looking for a passage-maker that can thrive both in the fast and slow lanes in luxury—but still go the distance—the Magellano 53 is a perfect candidate. A bonus is that you'll look good as the miles slip by. 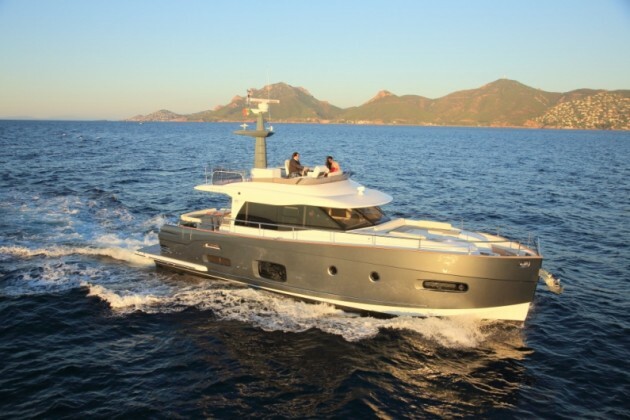 Other Choices: If you're looking for something a little more stout and a little less sleek, consider the Nordhavn 57. An even more rugged choice is the Nordic Tugs 52. 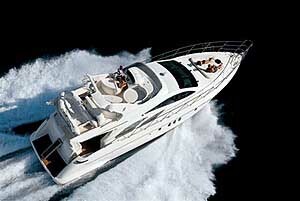 View Azimut Magellano 53 listings. 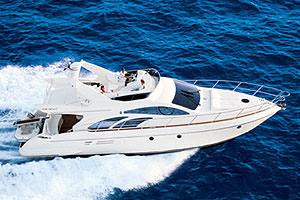 Fore more information, visit Azimut.